Starossek Engineering is an engineering consultancy operating from Hamburg, Germany. We are experienced in the design of bridges and engineering structures and offer special services like checking engineering, wind and structural dynamics engineering, vulnerability assessment, and forensic engineering. This includes designing custom-made measures against hazards like structural vibrations and progressive collapse. Throughout his engineering career of 35 years, Uwe Starossek endeavored to combine practice with research, an approach that paid off when a task never performed before was at hand or a problem hitherto unknown arose. 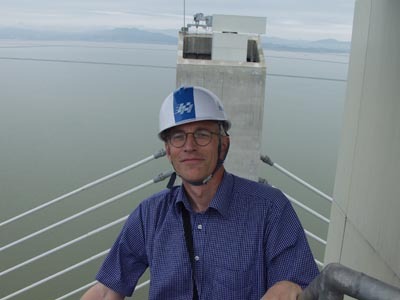 He is the author of many scientific papers and of books on wind-induced vibrations and progressive collapse. At the same time, he is a practicing engineer responsible for or contributing to the design of numerous structures, most large, some iconic.